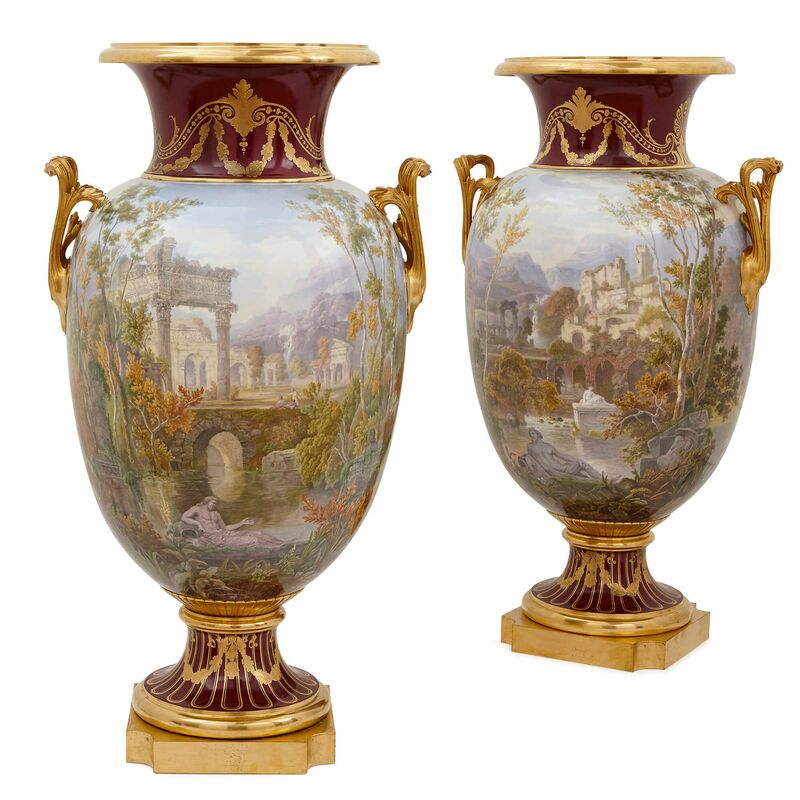 These fine vases are exemplary of the exceptional quality and astonishing attention to detail of the Sevres Porcelain Manufactory's 19th Century wares. 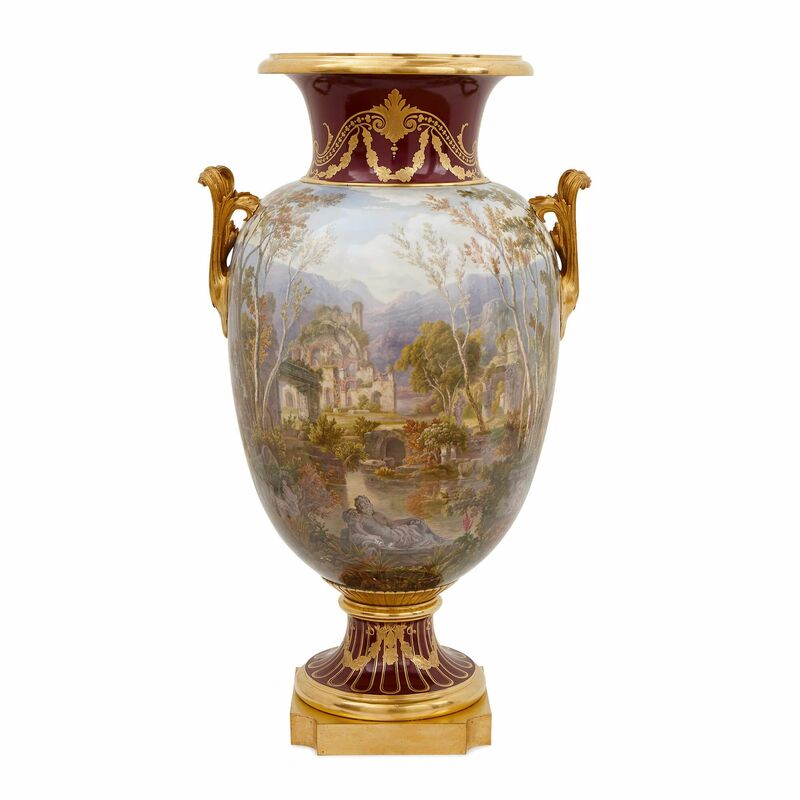 These beautiful vases are the work of the Sevres Porcelain Manufactory, and were produced in the years around 1867, when Paris hosted its famous Exposition Universelle. 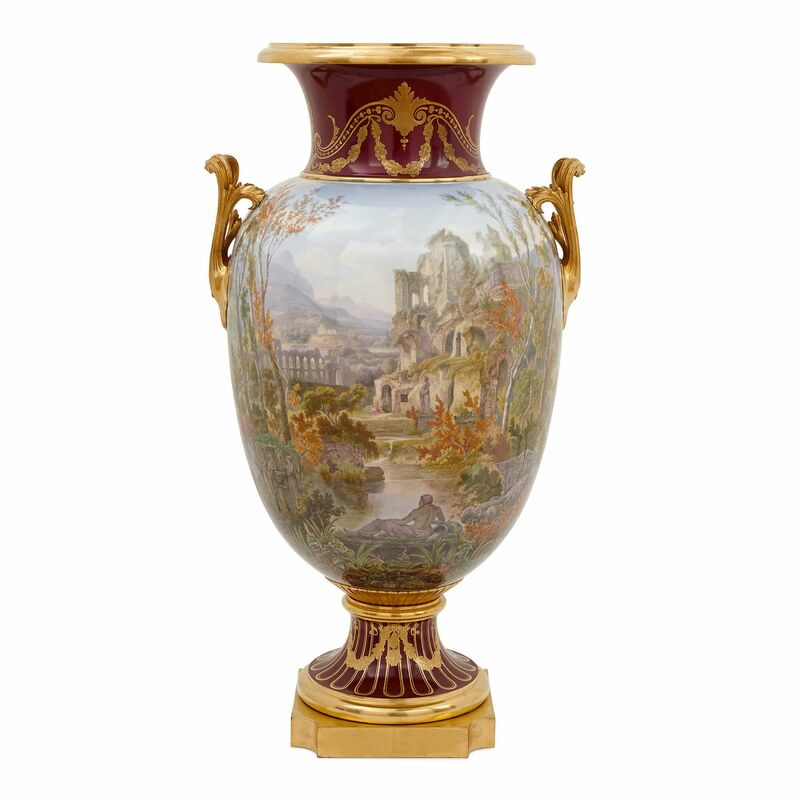 The Manufacture Nationale de Sevres - or the Manufacture Imperiale de Sevres, as it was known at the time - was Europe's leading producer of porcelain vases and dinnerware, and exhibited to great acclaim at the Exposition. 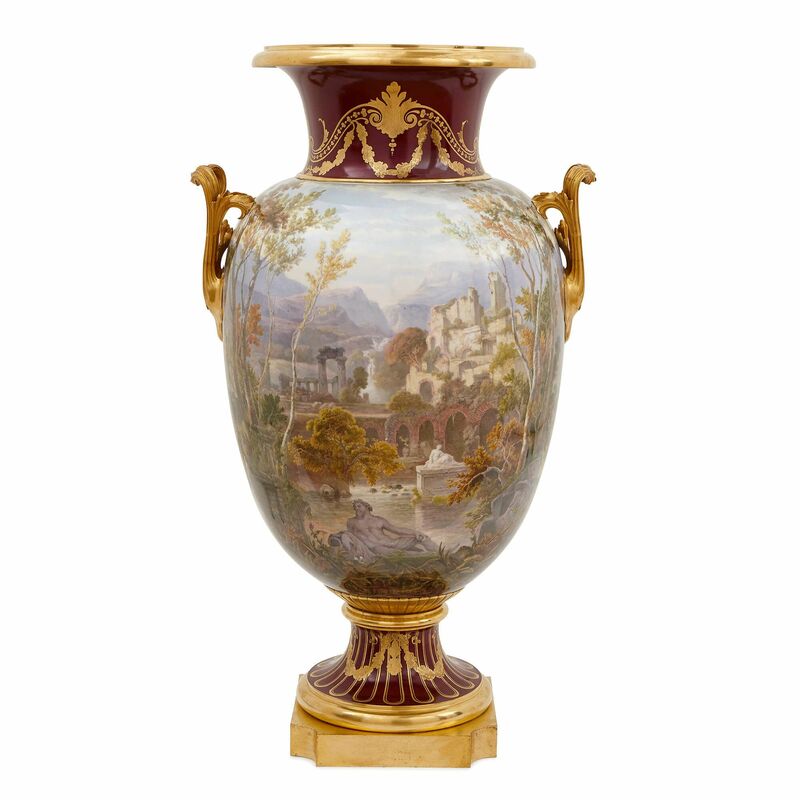 It is probable, then, that these vases, given their dating, formed part of Sevres' display at the exhibition. 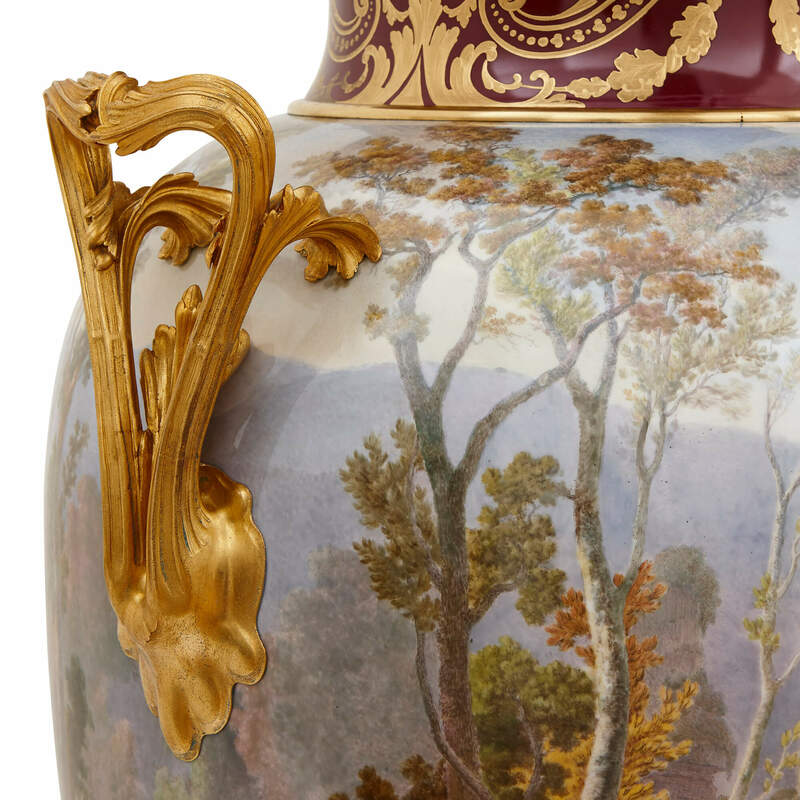 Sevres porcelain wares were revered in particular for the quality of their painted decorations, as well as for the richness of their gilding. Both are in evidence here: each vase's ovoid body is painted with a continuous pastoral scene of a landscape with figures, ancient ruins and antique sculptures, and each one is gilded around the neck and base with inticate floral and foliate decorations on a maroon ground. 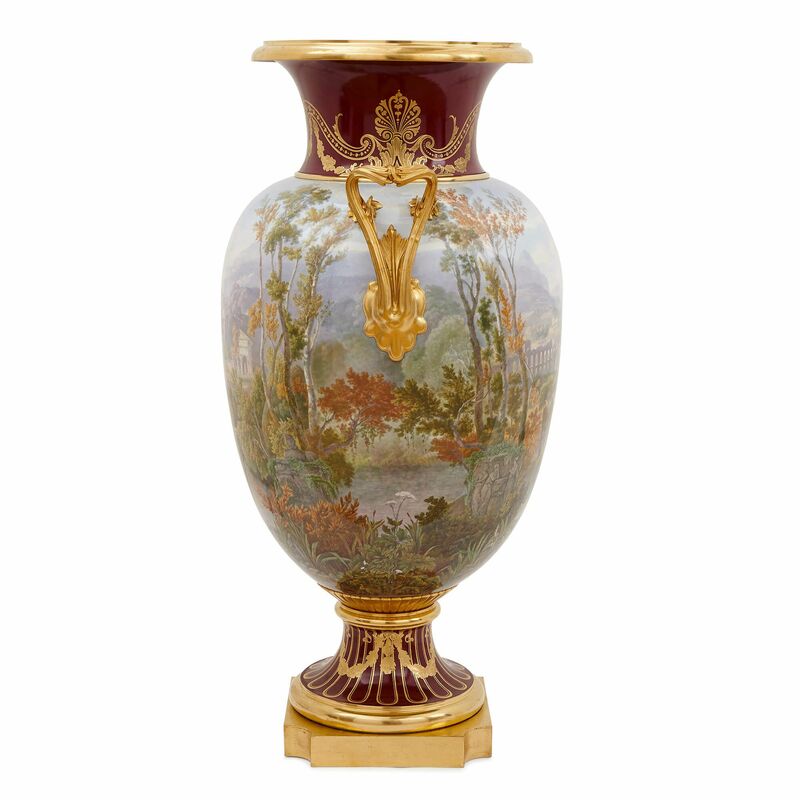 Each vase has twin ormolu acanthus leaf handles, and is set on a square shaped ormolu base. The underside of each vase is marked 'S. 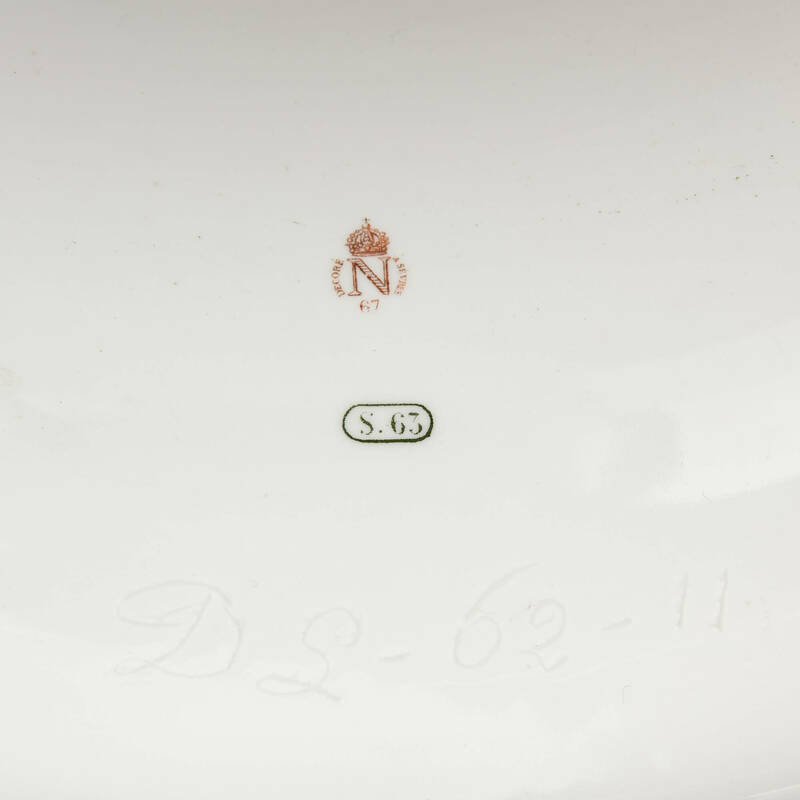 63' and has a further mark with a crown above a letter 'N' and the words 'Decore a Sevres'. This mark was the official imperial cypher of the French Emperor Napoleon III.